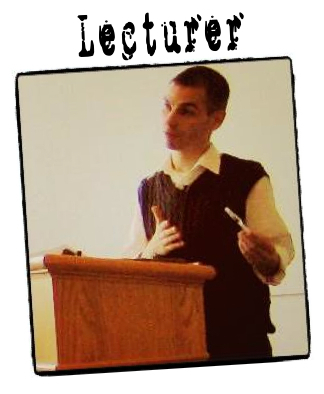 In Criminology, Critical Animal Studies, and Environment Tagged In AETA, Animal Advocacy, Animal Enterprise Terrorism Act, Animal Rights, Anthony Nocella, Corporate Repression, Dara Lovitz, David Pellow, Jason Del Gandio, and SHAC. In 2006 the Animal Enterprise Terrorism Act (AETA) was passed with the intention to equip law enforcement agencies with the tools to apprehend, prosecute, and convict individuals who commit “animal enterprise terror.” But, as many have come to realize, this act does not concretely define what is meant by that phrase, leading to the interpretation that anyone interfering with a company’s ability to make a profit from the exploitation of animals can be considered a terrorist. In this unprecedented and timely collection, some of the most influential voices in the world of law and animal rights examine the legalities of the AETA, highlight its repressive nature and the collusion between private interests and political legislation, and provide theoretical frameworks for understanding a variety of related issues. In a series of interviews, the book also gives animal advocates who have been convicted or directly affected by the AETA, including members of the AETA 4 and SHAC 7, an opportunity to speak for themselves. Ultimately, these writers show that the AETA is less about fighting terrorism and more about safeguarding corporate profit, and that it should be analyzed and resisted by everyone who believes in a better world. Expense of the First Amendment. This analysis of the AETA is a must read for those who seek to understand how and why forms of protest against structural and institutionalized oppression (everything from civil rights to anti-war) are criminalized, pathologized, and constructed as “terrorism.” Corporate Repression and Legal Corruption shows how the AETA is not singular issue, but joins a long history of repressing social movements that seek to disrupt the machinery of capitalism and its commodification of sentient beings (human and non-human animals) to benefit a privileged demographic of consumer citizens. 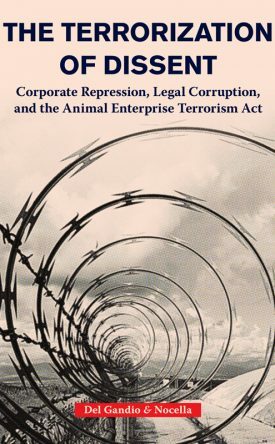 “The Terrorization of Dissent” opens the curtain on how corporate greed and political bankruptcy collided to create the Animal Enterprise Terrorism Act. This intelligent compendium offers legal, political and theoretical analyses of how one law has vilified and punished an entire social justice movement. It’s crucial reading for anyone who cares about our constitutional rights and the committed individuals whose only crime was drawing attention to the exploitation and cruel treatment of animals. An excellent and very important book. It’s vital that all those who are concerned for the protection of our fellow creatures understand why this appallling Act has come about and work together to try to circumvent it and eventually get rid of it. As laws targeting specific social movements continue to be executed, Corporate Repression and Legal Corruption offers a timely and urgent challenge to the blatant unconstitutionality of the Animal Enterprise Terrorism Act. The chapters in this collection should interest anyone who is concerned about freedom of expression, the U.S.’s growing plutocracy, and the continued exploitation of nonhuman animals. The law serves primarily to enforce hegemonic consensus and to criminalize those in society that would dissent from the same. 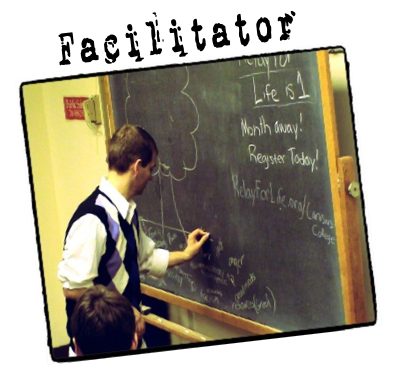 In a more perfect world there could be a participatory set of legal institutions that tend toward justice. But in contemporary America, we have instead generated a massive legal industrial complex that results in new threats to democracy, freedom, justice, and peace. At the very nadir of this nightmare sits the Animal Enterprise Terrorism Act. This book is therefore a welcomed jurisprudence with an attitude—a bellwether critique of how “terrorism” is defined, investigated, and prosecuted post-9/11. This chilling, well researched book lays out precisely how our own government, right here in these United States, acts against the interests of its citizens to protect the often illegal conduct of private businesses; how U.S. agencies have infiltrated social movements and invaded individuals’ lives and homes, harassing, harming and even destroying people and groups who pose a threat by exposing institutional wrongdoing. This book is a public service that will shock you into realizing that we live in a banana republic. This is the most important book about the Animal Enterprise Terrorism Act. If you are concerned at all about social justice, activism, or the U.S. constitution then you must read this book now. This book should be a required reading for every law school. Animal rights and the humane treatment of animals continues to slip the societal radar. Most in the public assume that animals have some types of law in places which protect animals. Thus, The Law Against Animals is a timely book which challenges us to not only be aware of these issue, but to engage in it. Anyone serious about any dimension of activism needs to read this book. In the United States, we have become ensepulchured in a shared mentality and enforced amnesia that enshrines injustice in the name of justice and that exalts inhumanity and torture in the name of national security. The Animal Enterprise Terrorism Act forbids acts of liberation and acts of mercy and acts of social justice thereby enforcing and legitimizing the most heinous acts against non-human life, shackling humanity in a locked cage of cut-throat barbarism and savagery. This book is a powerful weapon in the struggle for justice! Today, arrays of corporate, political, and police force actors have worked in a concerted effort to criminalize a broad range of activities which could be construed to be part of an animal rights movement. This effort constitutes a war on dissent against institutions of animal cruelty, and it has been subsumed by the fictional “war on terror,” in what are essentially attempts to normalize the terror felt by the animals which constitute the raw materials of animal using industries . In reviewing this war on dissent, Corporate Repression and Legal Corruption focuses upon the 2006 Animal Enterprise Terrorism Act, a Bush-era statute, while providing the reader with a comprehensive picture of the use of police power on behalf of enshrined corporations. It’s an essential text for anyone wishing to broaden their knowledge of US government repression in this era. For decades, ‘animal enterprises’ have been teaming up and crying victim to Congress in efforts to create special protections against those of us struggling for animal liberation. One result is the Animal Enterprise Terrorism Act – a bold step deeper into fascism where the thought crime of animal liberation earns us extraordinary attention from law enforcement and disproportionate legal consequences. Bringing together several essential voices and spanning the divide between activist and academic, this volume puts an important focus on the deplorable lengths a sadistic industry will go to in efforts to satisfy its greed.